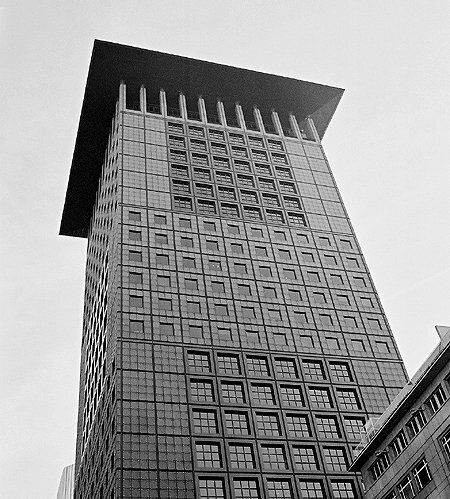 At 115 metres tall and with 27 floors, the Japan Center was built to attract Japanese firms to the Frankfurt financial district. Designed with a rigid geometric pattern which recalls traditional Japanese design, the tower is a terracotta colour with a slight blue tint to the glazing. The building appears very solid, especially from a distance when the glazing appears to be minimal.